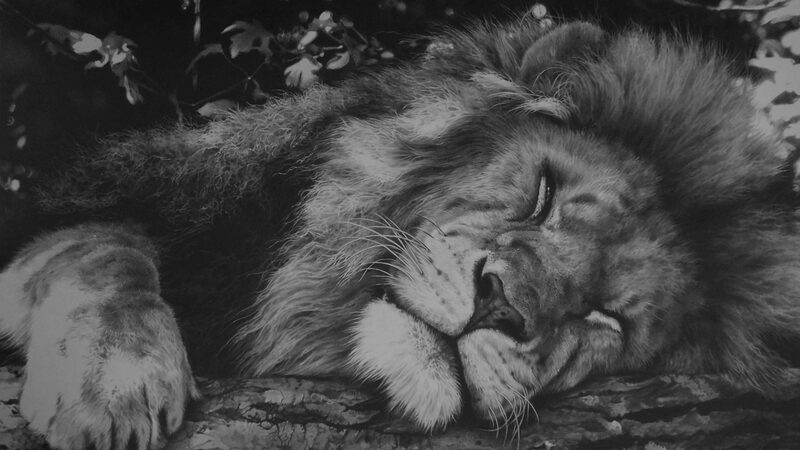 Lioness pencil drawing – the all important eye! One of my favourite parts of any drawing – the eye. Also pretty important and unforgiving for any mistakes. Over shade the white reflection area and it’ll never be truly white again. I’ve filmed this section in time lapse so you can all the stages and the detail going in. 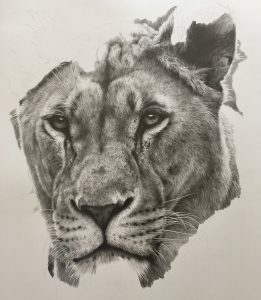 It’s still not completely finished as I’ll probably jump back to it every so often and add to it, especially as I add to the fur around the eye (to get the level of depth right) I often revisit and adjust other areas of the drawing at a later stage …… still a long way to go on this one! Next Next post: Little birds!